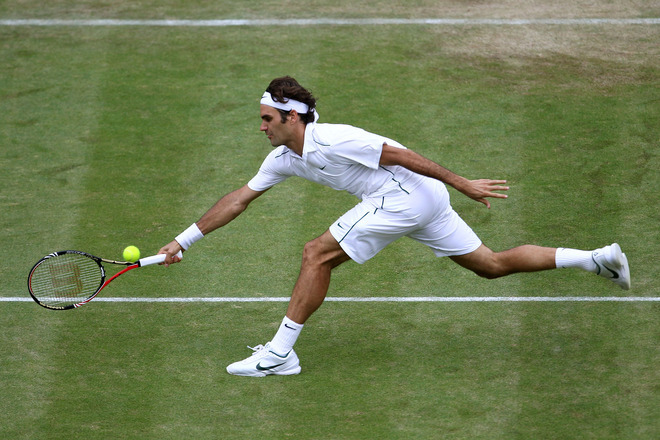 After all these years, nobody on tour can parallel the accomplishments of Roger Federer. In his 47th consecutive grand slam, he has clinched his 29th consecutive grand slam quarterfinal (26 of those semifinals, so far). His day was tricky in the beginning as there were no opportunities to break and Youzhny came from behind to win the first set in a tiebreak. After that it was a fairly straight forward Federer match.